Gasteraforma cancriformis. 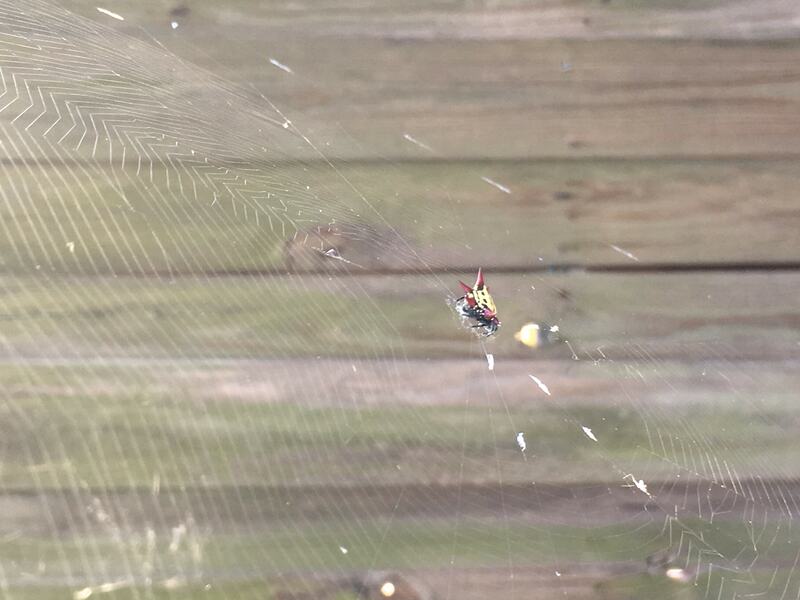 A spiny-backed orbweaver. They are found in various colors, but this species always has six sharp projections . The circular pattern of the web with radiating bands coming from the center are a characteristic of orbweaver spiders.